Aesop's Fables Illustrated: A New Revised Version from Original Sources by Aesop, with hundreds of illustrations by Harrison Weir, John Tenniel and Ernest Griest. Translation by George Fyler Townsend. 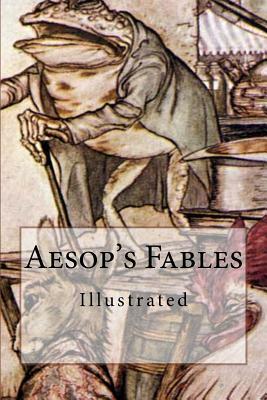 This is a collection of tales by the Greek storyteller Aesop. Most of the tales included here were translated and edited by Reverend George Fyler Townsend (1814-1900) in England and published under the title, Aesop's Fables. Townsend's translations were influential on many subsequent collections of fables. Some of the tales included here were taken from the book How to Tell Stories to Children and Some Stories To Tell, by Sara Cone Bryant and published in London in 1918. In some cases, we have included both Townsend's version and Bryant's version of the same tale. Numerous tales credited to Aesop were gathered across the centuries and in many languages in a storytelling tradition that continues to this day. Many of the tales are characterized by animals and inanimate objects that speak, solve problems, and generally have human characteristics.